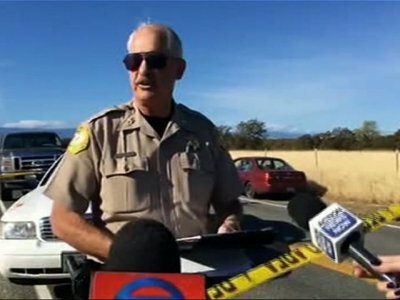 RANCHO TEHAMA RESERVE, Calif. (AP) — A Northern California man killed two neighbors with whom he had been feuding before he went on a shooting rampage Tuesday at apparent random sites — including an elementary school that successfully locked him out — in a series of attacks where he killed two more people and injured 10 before police fatally shot him, officials said. “It was a bizarre and murderous rampage,” Johnston said. “I think the motive of getting even with his neighbors and when it went that far — he just went on a rampage,” Johnston said. He said there was a “domestic violence” report Monday involving the gunman, but didn’t provide any further details. Neal’s mother told The Associated Press he was in a long-running dispute with neighbors he believed were cooking methamphetamine. The mother, who spoke on condition she be named only as Anne, lives in Raleigh, North Carolina, where she raised Neal. She said she posted his $160,000 bail and spent $10,000 on a lawyer after he was arrested in January for stabbing a neighbor. Neal’s mother said the neighbor was slightly cut after Neal grabbed a steak knife out of the hand of the neighbor who was threatening him with it. Neal’s sister, Sheridan Orr, said the family was trying to reach the sheriff’s department Tuesday evening but still had not been notified. She said her brother had struggled with mental illness throughout his life and at times had a violent temper. Johnston said the shooter was armed with a semiautomatic rifle and two handguns at seven locations. He said another weapon was seen in one of the vehicles he drove but hadn’t been recovered yet.